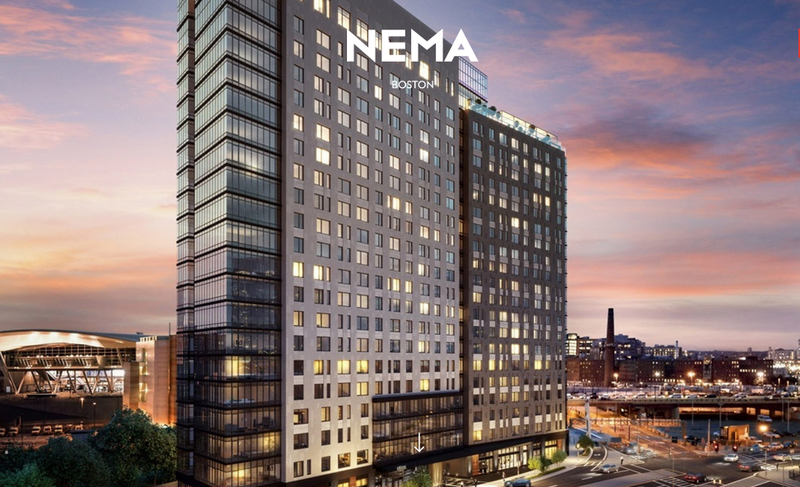 NEMA is the latest high-end apartment building development in Boston’s Seaport District neighborhood, a 388 unit complex being developed by Miami based real estate developer Crescent Heights. The developer has already begun marketing the 22-story tower at 399 Congress St. as NEMA (which is short for “New Market”) Boston, part of a growing portfolio of apartment rentals including a luxury tower that opened five years ago in San Francisco and a 76-story tower under construction in Chicago. This building is another addition to the construction boom that’s bringing thousands of luxury residential units to a two block stretch of the B Street corridor in Seaport District area. Cronin Group broke ground on October on its 114-unit condominium tower at 150 Seaport Boulevard, while Cottonwood Group is building 717 condos and apartments at its Echelon Seaport complex.